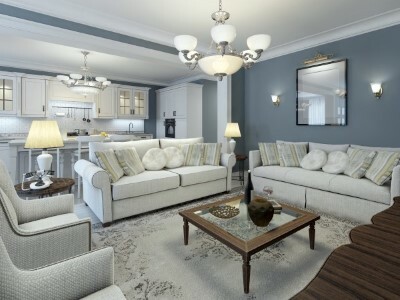 One Man and A Brush interior painting Woodstock GA offers the highest quality interior painting. As professional interior painters & contractors, we believe that how we paint your home is as important as what we are painting. While selecting the right paint colors for your project is crucial, choosing the right house paint and using skilled painter application techniques are also key to achieving a beautiful, lasting finish. If you want to watch your color selections come to life in their real setting, first you need to consider the paint colors used in existing elements of your home’s decor such as fabric, wallpaper, flooring, and window treatments. This is the best way to ensure everything works and flows well together. If you are completely redecorating a room, then your new paint color palette is open to endless possibilities. Remember, if it is a space with open views of other rooms, then you’ll want to be sure to plan a house painting color scheme that allows a nice transition. Not all our customers have a vision for their interior painting, so if you’re having trouble choosing the color schemes that will go best in your home, our design consultation will serve you well. One Man and A Brush interior painters offer the highest quality painting for your homes interior. “How” we paint your home, is as important as “What” we paint. And to make that decision process enjoyable and error-free, we offer a free, no obligation, color consultation with every estimate. Painting the interior of your home opens up a wonderful opportunity to express what inspires you and bring to life your decorating vision. And, the ability to be daring and try something different is often easier on interior spaces. First you need to consider the paint colors used in existing elements such as fabric, wallpaper, flooring, and window treatments to ensure everything works and flows well together. While selecting the right paint colors for your project is crucial, choosing the right house paint and using skilled interior house painting application techniques are also key to achieving a beautiful, lasting finish. Color has the ability to set a mood. Add character. Create intimacy. Color can stand alone…or be combined. From the soft whispers of white to the breezy nature of blues, to the commanding presence of red. Color has a voice that transforms a room and captures the way you want it to feel. When choosing colors for your home remember that lighting can impact their appearance. 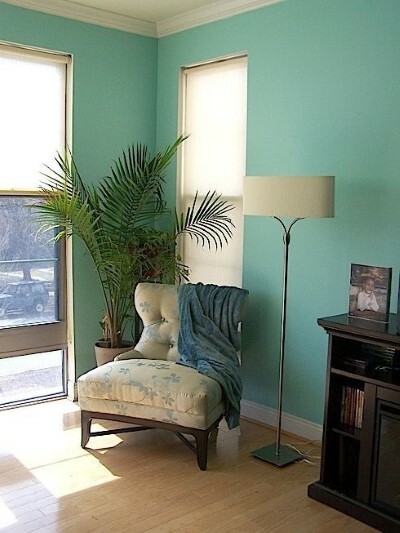 The coolness of a jewel tone, for example, may take on added warmth in a room that basks in sunlight. Watch your color selections come to life in their real setting as the light sources change throughout the day. Only then will you see their true beauty. The painting of your home is the least expensive and most productive cosmetic improvement you can make. When we meet for your paint estimate, we will discuss color basics, including types of paint & various sheens, how paint color continuity can create harmony and visual interest, how color temperature can alter the mood of a space and how to use color accents. With every painting service One Man and A Brush interior interior painting Woodstock GA provides for you, you will receive a free color consultation by our professional interior painting contractor consultant. You’ll have a professional by your side who can help you choose the best paint colors, paint finishes, and textures for your home. We can help guide you as little or as much as you need to make these sometimes difficult decisions. During your color consultation, our paint estimator will discuss color basics, including types of paint & sheen varieties, how paint color continuity can create harmony and visual interest, how color temperature can alter the mood of a space and how to use color accents. Color has the ability to set a mood, adds character to your home and creates intimacy. Color can stand alone or be combined to create the effect you’re wanting to achieve. From the soft whispers of white to the breezy nature of blues, to the commanding presence of red, and the calming effect of green, color has a voice that transforms a room and captures the way you want it to feel. 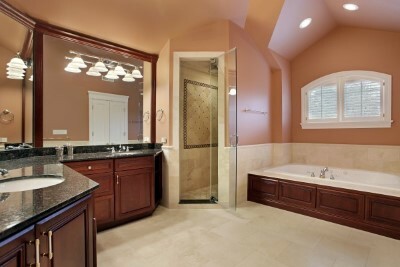 When choosing colors for your home remember that lighting can impact the color’s appearance. The coolness of a jewel tone, for example, may take on added warmth in a room that basks in sunlight. Whether it’s one room or your whole house, our local interior painters are here to help you with your interior painting. Call today for your free quote and free color consultation for our affordable painting services. If you are looking for a quality interior painting Woodstock GA free estimate then please call One Man and A Brush at 678-368-5115 or complete our online request form.